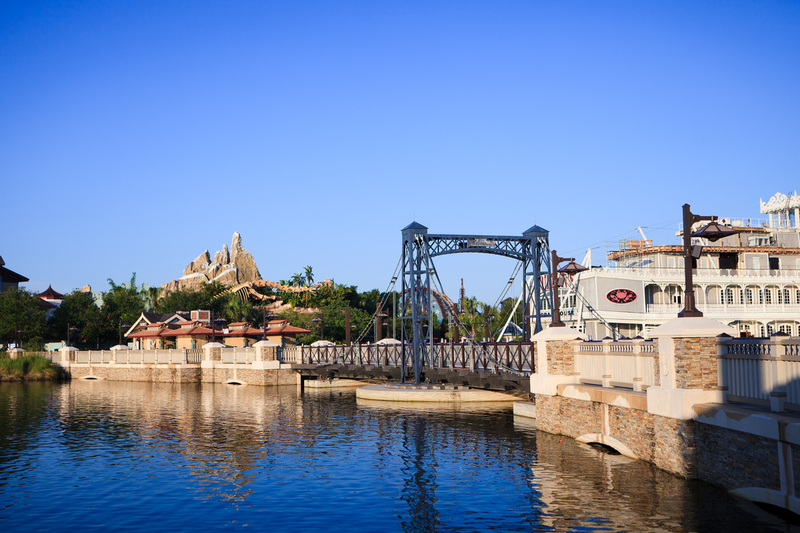 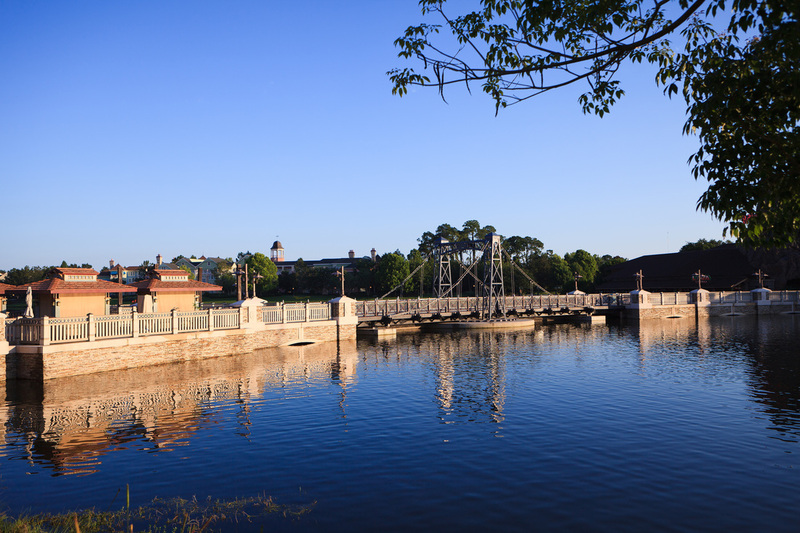 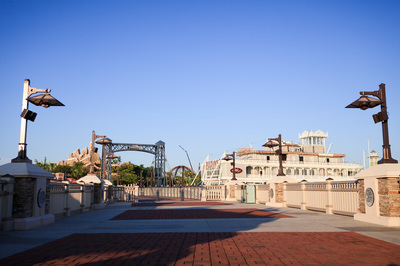 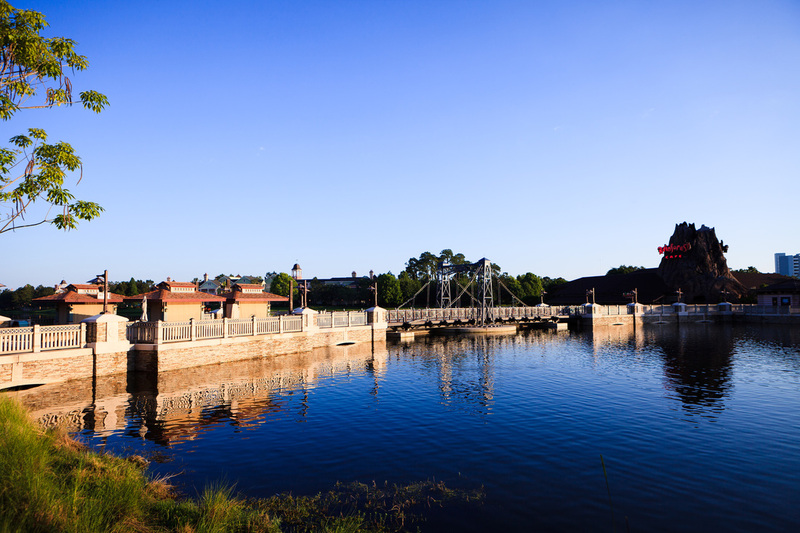 The Disney Springs Causeway is a new bridge that provides a shortcut through the main lake on Disney Springs. The Causeway is made of structural precast with over 8,000 SF of dry stacked Virginia Ledge Stone. Before the stone could be installed we had to build barges in order to install the stone over the water. 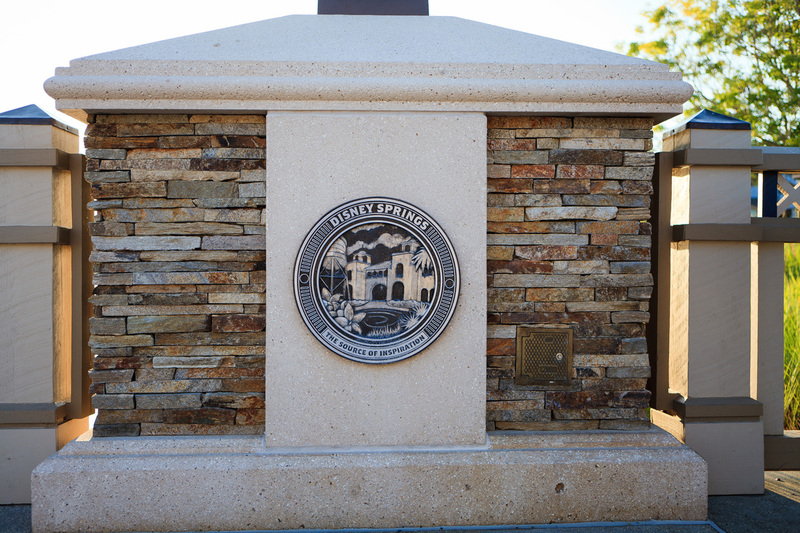 Special attention was made on the columns where we alternated the use of corner pieces and flat pieces in order to eliminate a “zipper” effect. 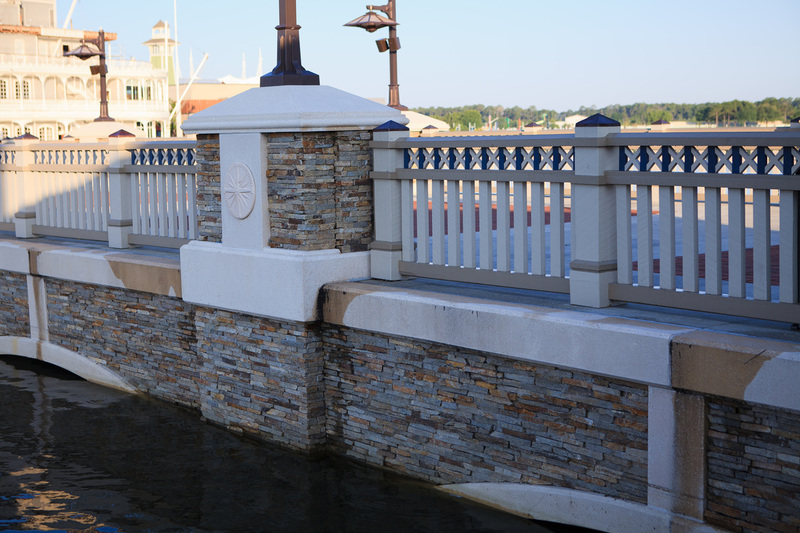 All of this was done while blending the different colors of stones and maintaining a diverse color range throughout the bridge. 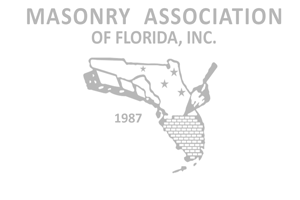 ​Please record your scores on the 2016 MAF Masonry Excellence Awards Score Sheet.